Japan’s Nikkei 225, China’s Shanghai Composite and South Korea’s Kospi stock indexes gained 2.2%, 2% and 1.6%, respectively. The Chinese yuan rose 0.36% to about 6.925 per U.S. dollar. Ahead of the U.S. open, S&P 500 futures also climbed 1.5%. President Trump and Chinese President Xi Jinping approved the deal on Saturday in Buenos Aires. It offers Beijing a reprieve from a planned increase in tariffs, scheduled for Jan. 1, on $200 billion in Chinese goods exports to the U.S. Tariffs were scheduled to rise to 25% from 10%. We have been long equity markets in Novemeber from 2640 here: Be long S&P Since our trade, the equity markets have rallied over +4% in Novemeber. Also, Federal Reserve officials signaled plans to raise interest rates next month, but they appeared more uncertain about maintaining a pace of quarterly increases after that, minutes of the central bank’s recent policy meeting show. Almost all participants at the Nov. 7-8 meeting believed another rate increase “was likely to be warranted fairly soon if incoming information on the labor market and inflation was in line with or stronger than their current expectations,” said the minutes, released Thursday. The next Fed meeting is Dec. 18-19. Officials, however, discussed changing their postmeeting policy statement to emphasize their flexibility to respond to fresh economic developments as they weigh their rate moves next year. Officials voted at the meeting to hold steady their benchmark federal-funds rate in a range between 2% and 2.25%. The trade copier has been super smooth in November. It has already clocked +19.34%. The system has made over 100% return every year since 2010. Hence 2018 is not any different. This year too it is in line to close the account with over +100% return. The system operates on EURUSD, USDJPY, GBPUSD. 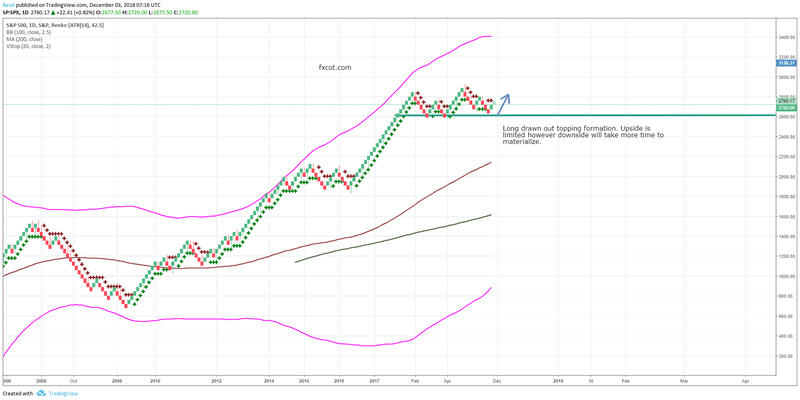 The SPX is forming a nice topping formation which will see it test 2600 and 2900 multple times before a big break below. We see the index breaking down below 2500 as the final confirmation of bear market. As of now we see a few months of topping behavior. 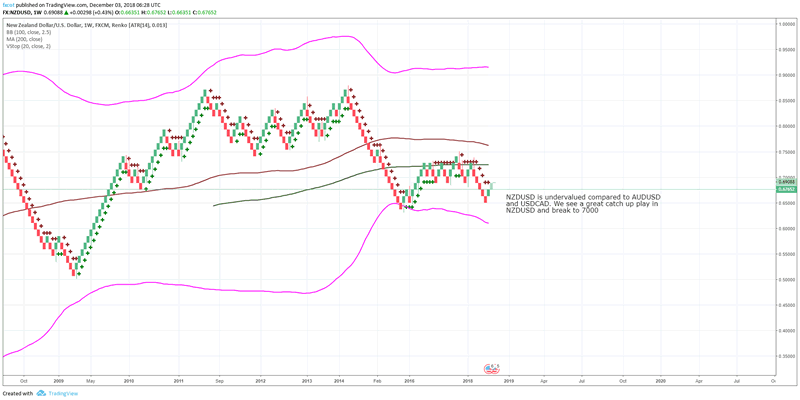 The AUDUSD weekly charts show a confirmation of our bias to long AUDUSD. 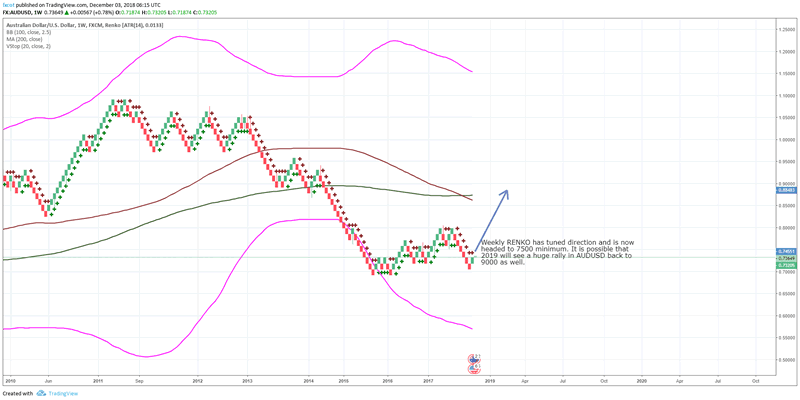 We have been long AUDUSD since 7250. Current prices are at 7360 which is a superlative return of over 5%. 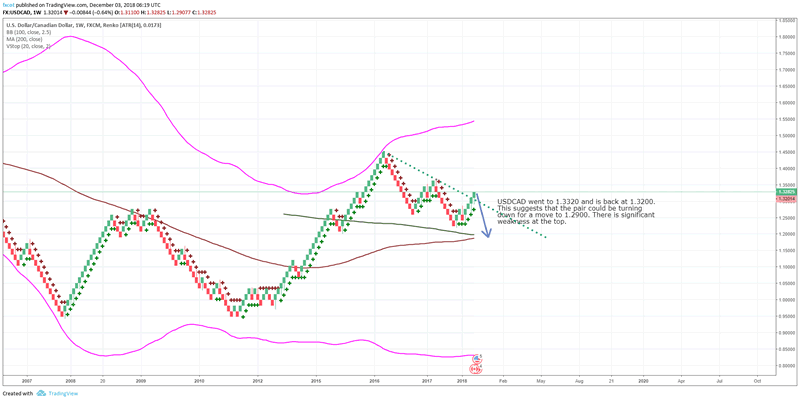 We believe AUDUSD could be one of the sta performers of 2019 as the pair could head back to 8000 levels once again. Similarly USDCAD has come against a strong resistance at 1.3300. We see a good probablity of a retracement back to 1.29. Above 1.3350, we see upside to 1.35..
NZDUSD weekly shows a lot of catchup to its resistance at 7240 and then the bigger resistance at 7600. 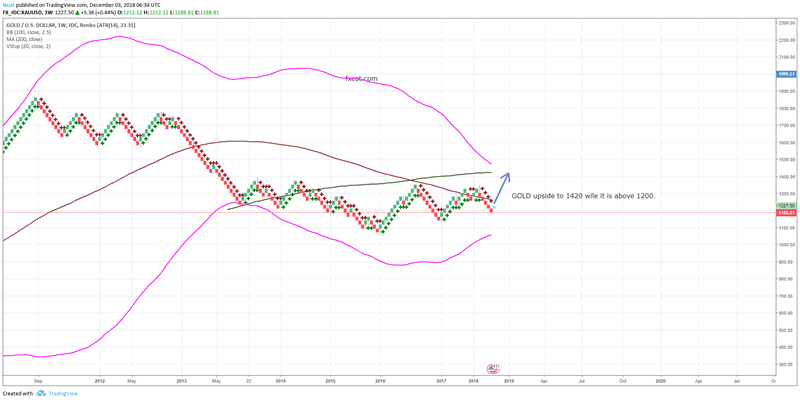 We see both these leves being achieved before any more downside. The downside is well protected at 6600. Great trade in our view. The EURUSD COT REPORTS are showing commercials expect more downside in EUR. New commercials long have entered the market which suggest that they are expecting EUR to weaken. As AUDUSD is expected to strengthen, EURAUD will be a good trade to play eur weakness. Commercials are pairing their long positions in GBP which means they expect GBP to strengthen or consolidate at current levels. It seems they do not expect major downside in GBP and hence the reducing OI. The COT on USDJPY shows good Commercial buying of yen. They buy yen when they expect yen to weaken as they always are hedgers. We see good posibility of some upside in USDJPY given the positioning. But the changes need to be monitored next week. © 2018 Copyright FXCOT – All Rights Reserved Disclaimer: The above is a matter of opinion provided for general information purposes only and is not intended as investment advice. Information and analysis above are derived from sources and utilising methods believed to be reliable, but we cannot accept responsibility for any losses you may incur as a result of this analysis. Individuals should consult with their personal financial advisors. © 2005-2018 http://www.MarketOracle.co.uk – The Market Oracle is a FREE Daily Financial Markets Analysis & Forecasting online publication.